With a clear directive for innovative design, Viners employed eminent designers to create classic designs that can still be found in homes today. The iconic Studio range still exists within the Viners portfolio today and continues to be one of our most popular and expanding designs within the range. Today Viners is focused on building the brand and developing leading exclusive designs. 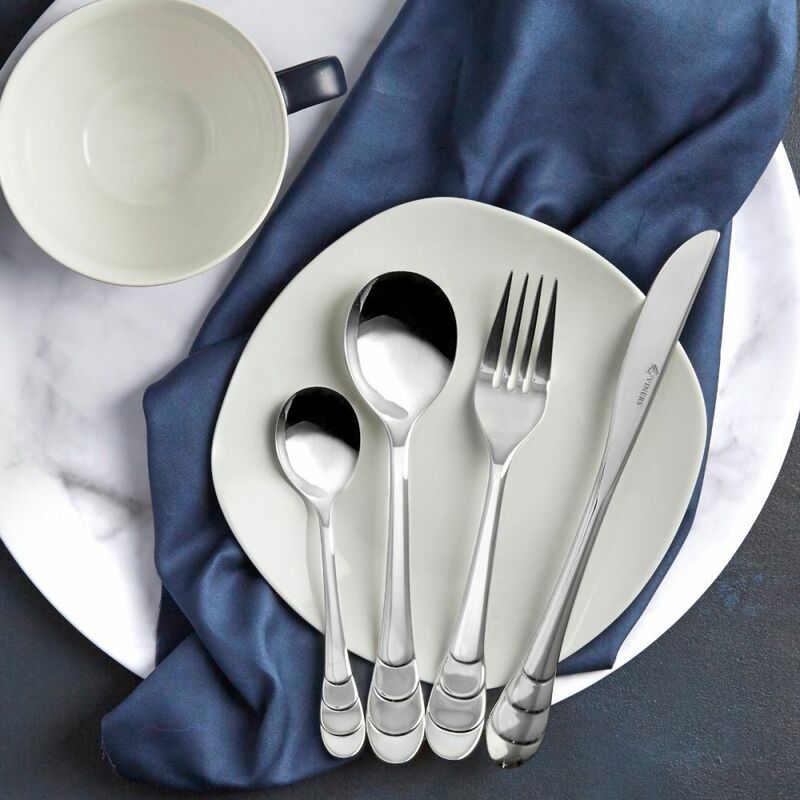 The Eden 16 pce cutlery set features slender, smooth, rounded handles with elegant curves. Perfectly balanced. 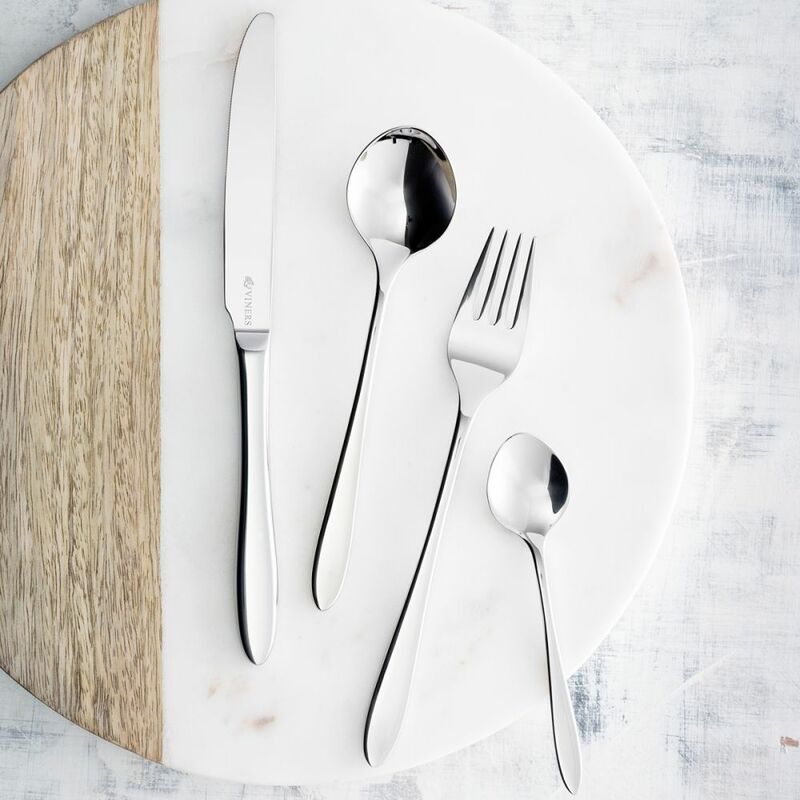 Made from the finest quality 18/10 stainless steel with a lustrous polished mirror finish. Rust resistant with a 50 year guarantee.